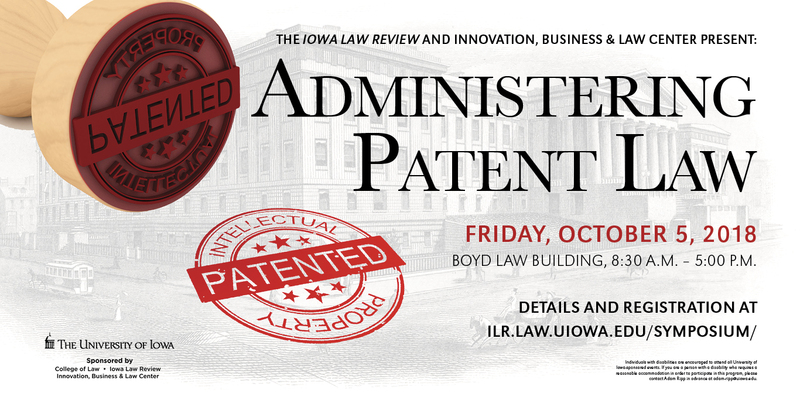 On October 5, the Iowa College of Law will host the 2018 Iowa Law Review symposium, Administering Patent Law. This event is co-sponsored by the Iowa Innovation, Business & Law Center. As an added bonus, I’ll be running guest posts by some of the speakers over the next few weeks. We’ll also be live-streaming the symposium that day. You can find the full agenda (and the livestream link, once it is live) on the symposium website.